Thank you, JC. 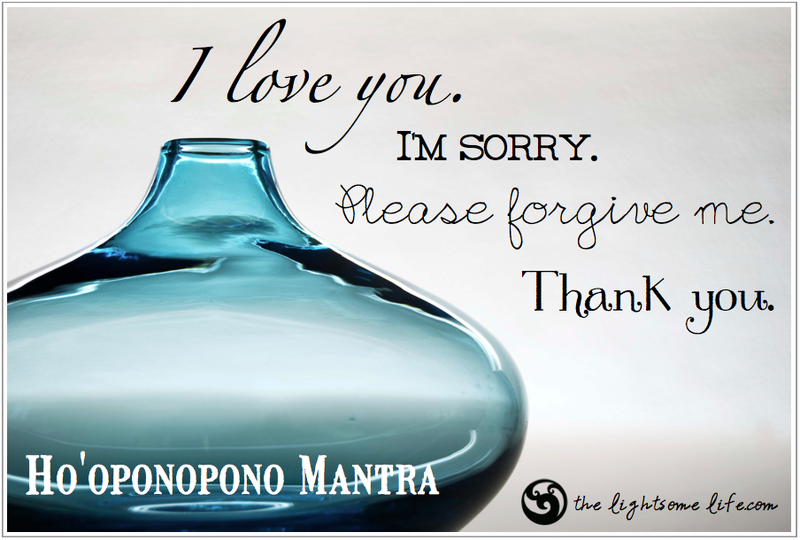 I have also been doing Ho’oponopono recently. One day following a sit I found myself doing H’oponopono for my whole family, starting with parents and going on to grandparents, sisters and brother, aunts, uncles, cousins, my children and grandchildren and then a couple of ex’s! Afterwards I felt like a fog had lifted. It is an on-going practice as you say and I love what you are doing when negative thoughts arise. I am taking a tip from you there. Thank you again, this was a great reminder of a beautiful and powerful practice. I love that you started with family and moved on to ex’s, haha!! Well those ex’s somehow hang around in our psyche’s don’t they? Thank you for sharing. I also do Ho’oponopono. It is a wonderful practice. Have you read the book by Joe Vitale called Zero Limits? I’ve even gone so far as to communicate with buildings like Dr. New Len did in the book. It’s a nice reminder that we are all connected and what affects one affects us all and we are all responsible for everything that comes into our lives. I understand the challenges you are feeling, this can be a very difficult process. I told my friend yesterday that it felt like I was fighting for my life and she agreed, only it was for the life I envision. You aren’t alone in this, many here have your back. You’ve got this! You’re awesome!! Oh, and I have heard of the book, but never read it. I will check it out, thanks! I ABSOLUTELY love this post of yours! For many years now I’ve forgiven knowing that forgiveness is something that you do for yourself. There have been those who have wondered how a person can be so forgiving when all that they could think of was revenge. Yes! I feel very sorry for vengeful people – I ho’oponopono extra hard for them 🙂 Thanks for the comments – Masterminding at its best!! Hi, I also had struggles with the press release because not sure what is on my DMP is really what I want. I have decided to make it happen just because I can and keep letting that cement chip off till it is clear. Enjoyed your blog. You are connecting the dots. I love the way you apply the lessons. Fine post.